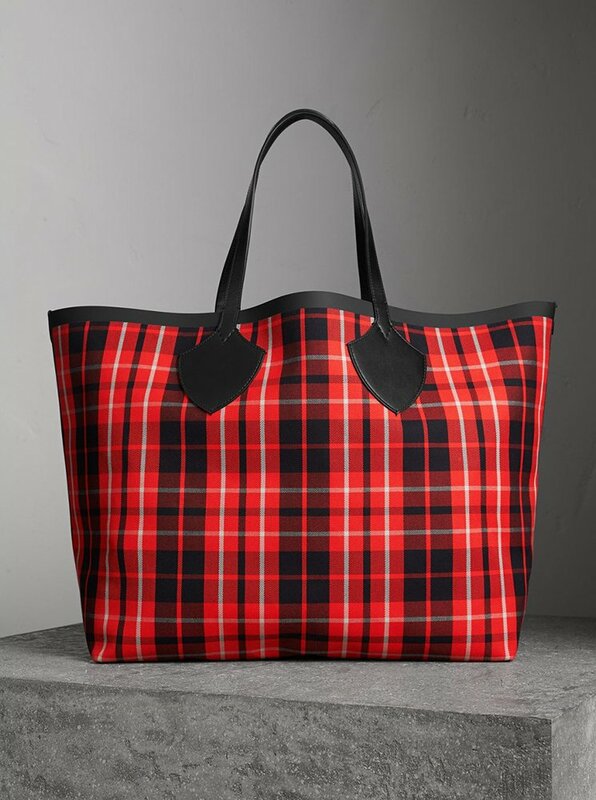 The Reversible Tote has become the new ‘must have’ in the fashion world. 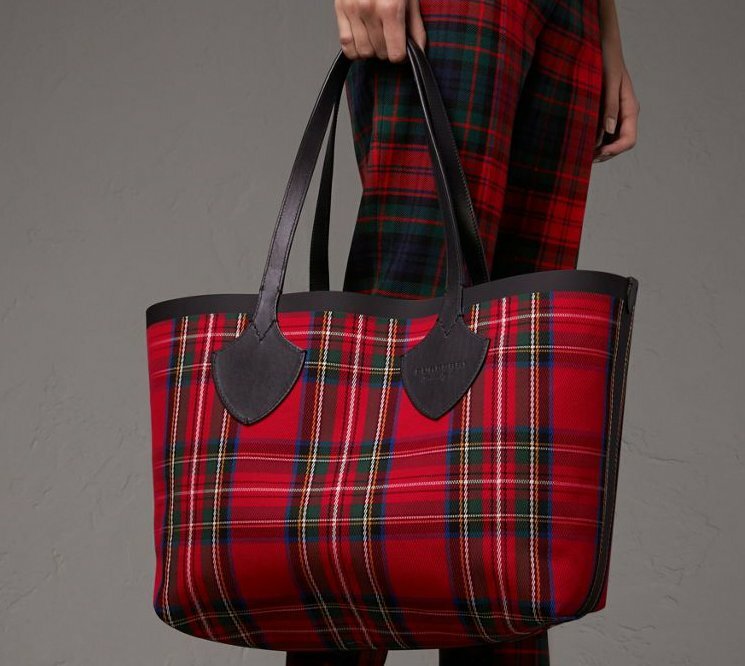 And if you haven’t put this bag on your wish list, then you should! 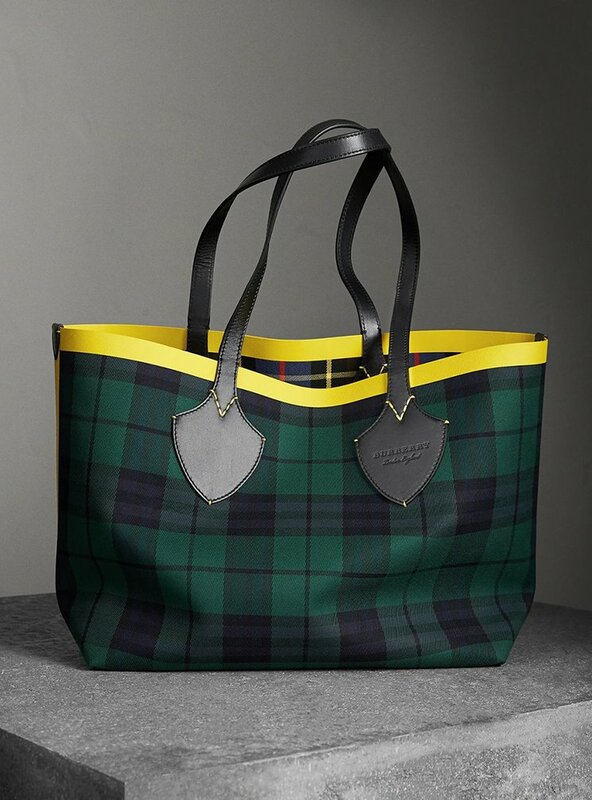 There are different styles of the Reversible Bag, depending on the brand. The Goyard Anjou Reversible is one of the most popular ones, but Gucci also carries a Reversible Bag. 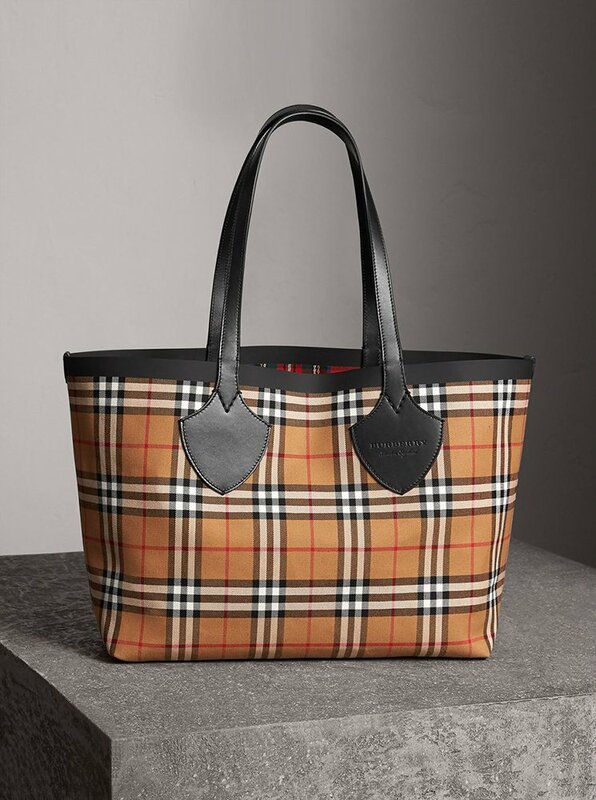 Then you have more choices like the Longchamp Rosea Reversible Bag and now you also have the Burberry Giant Reversible Bag. 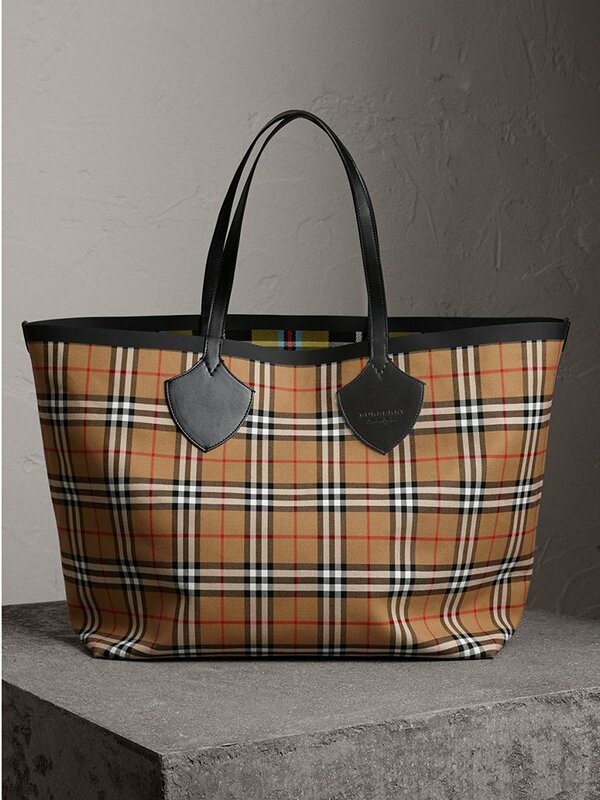 Each brand has their own style, let’s talk about the Burberry version. 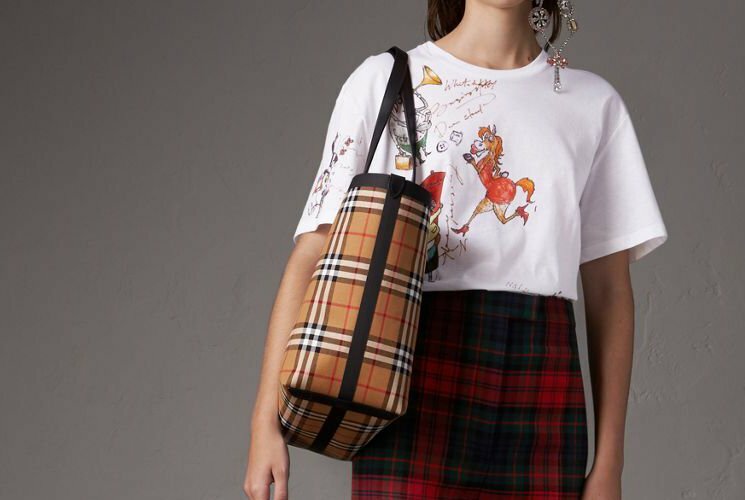 What is Burberry’s Signature Print? The Vintage Check! 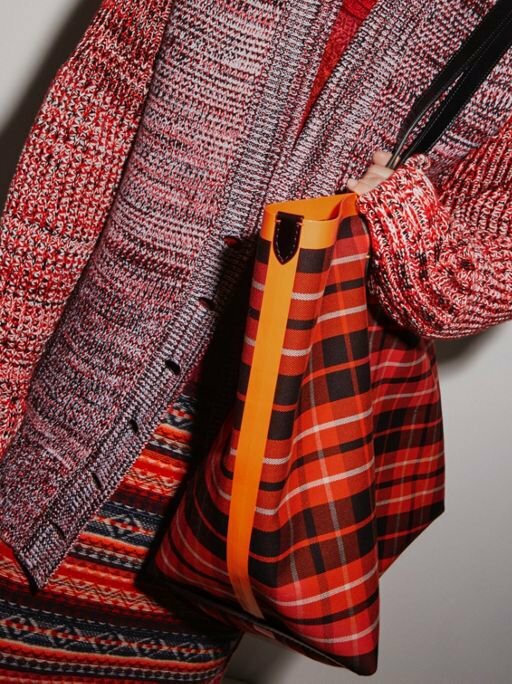 So it’s no surprise that this English fashion house started an iconic bag line with checkered print. Burberry came up with the Vintage Check as early as in the 1920’s and since then it has been widely copied around the world. 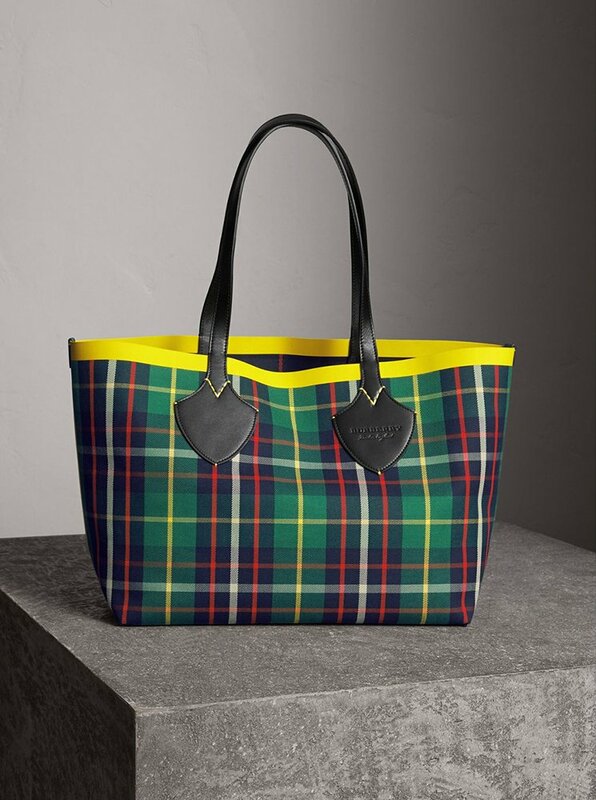 The Giant Reversible Bags are all crafted with this Vintage Check on the exterior, but in different colors. You can choose green or red, but the most iconic shade is the antique yellow one. 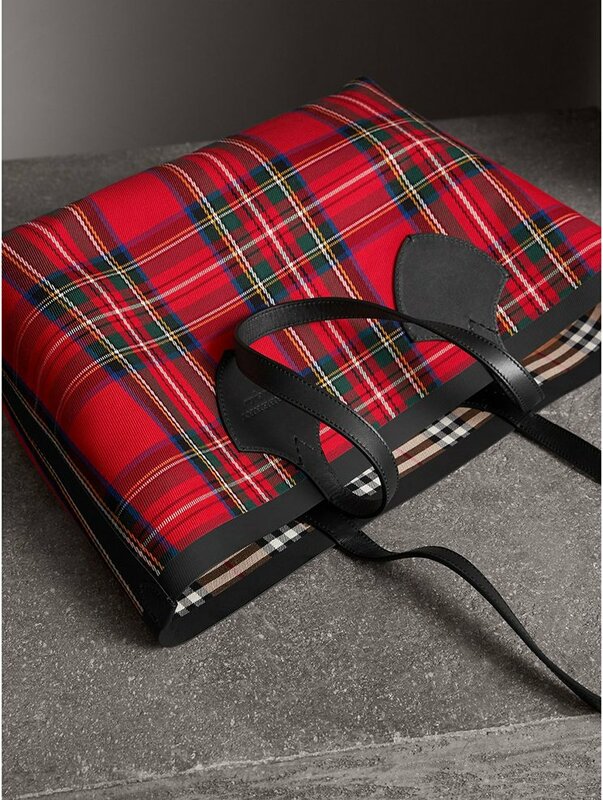 The interior is made in Tartan, designed in bonded cotton. The Trim is made in calfskin and the edges are hand-painted. This bag is basically two bags in one. 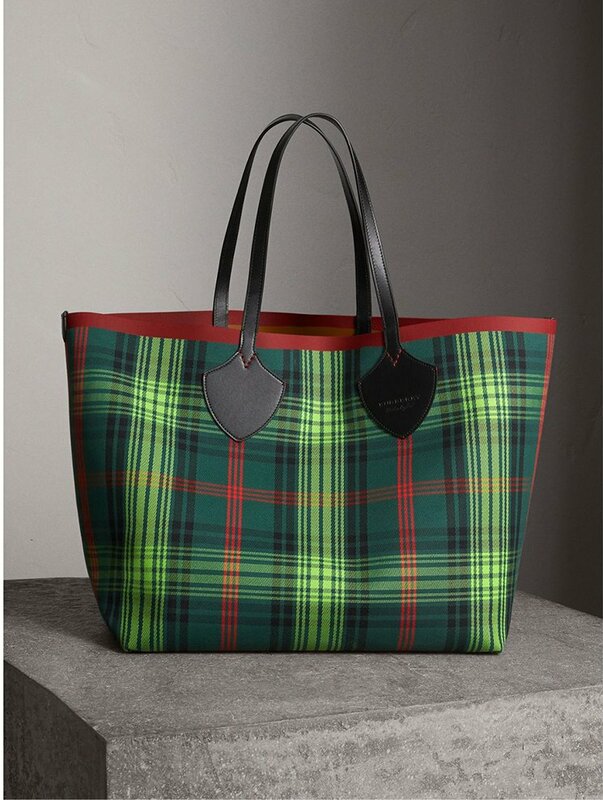 The checkered print in the exterior is one bag, but you can pull the interior inside out and create a different colored handbag. That’s why this bag is called a ‘Reversible Bag’. 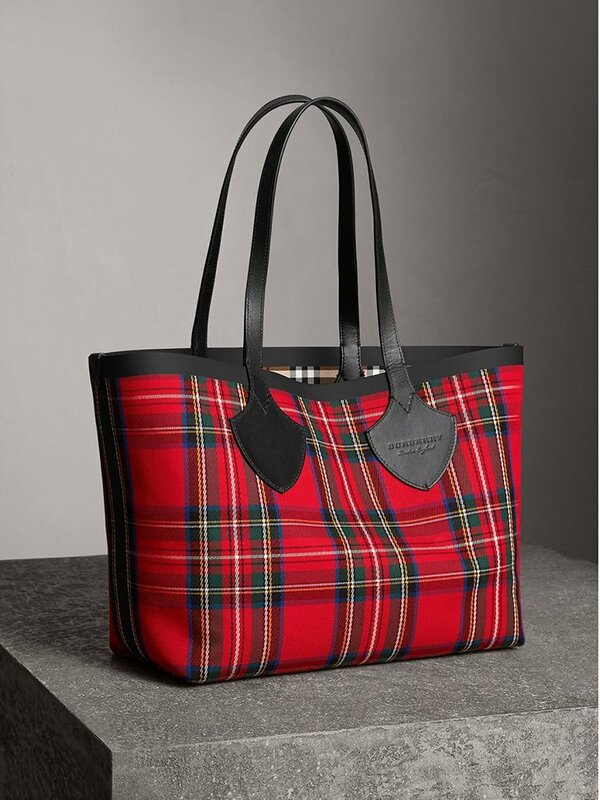 You can carry this tote on your shoulder because it comes with a long leather handle strap. 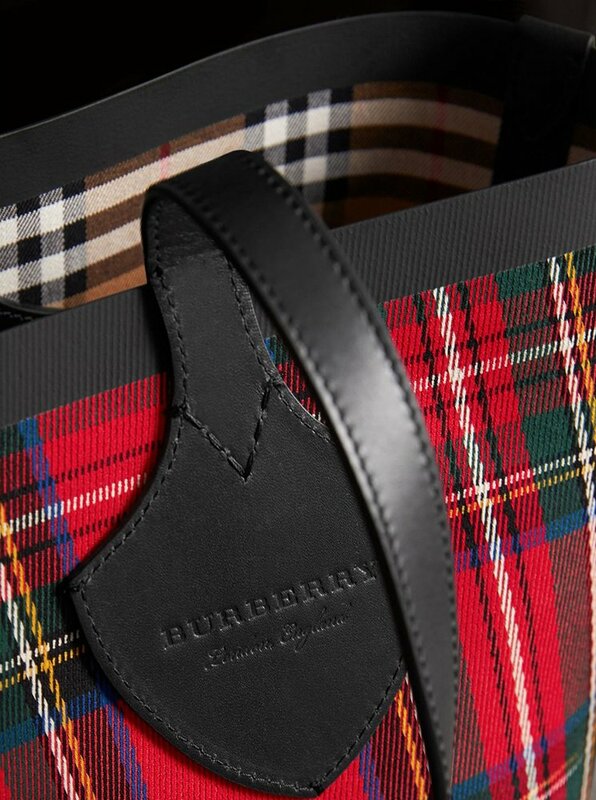 There is also a ‘Burberry’ logo crafted on the front. 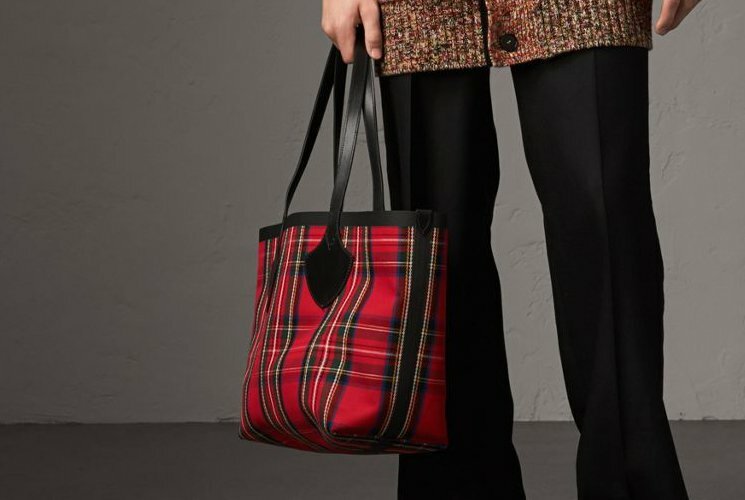 The Giant Reversible Bag is a flexible handbag and not stiff. It’s very comfortable and you can carry a lot of essentials. Inside this bag, you will find one large compartment for all your stuff. 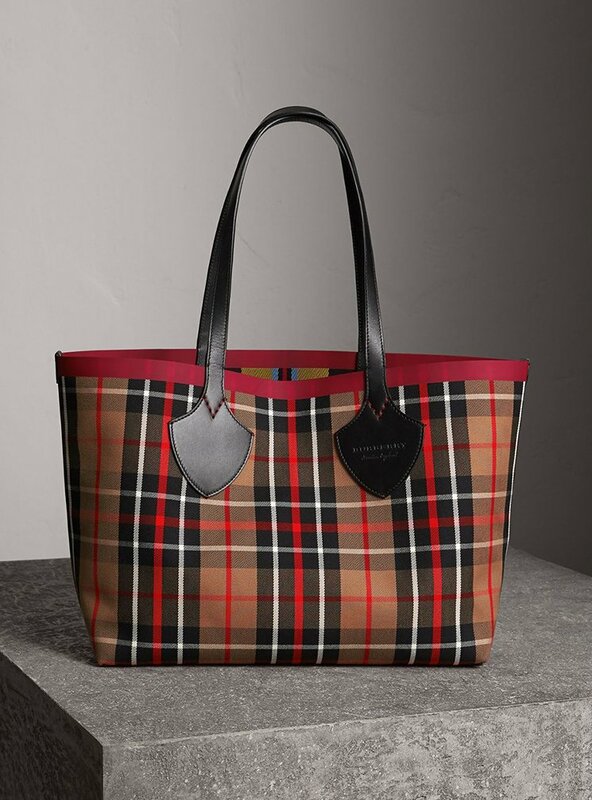 The Burberry Reversible Tote is available via MyTheresa Monnier Freres have the Burberry Reversible Tote in solid colors, click here to see more.